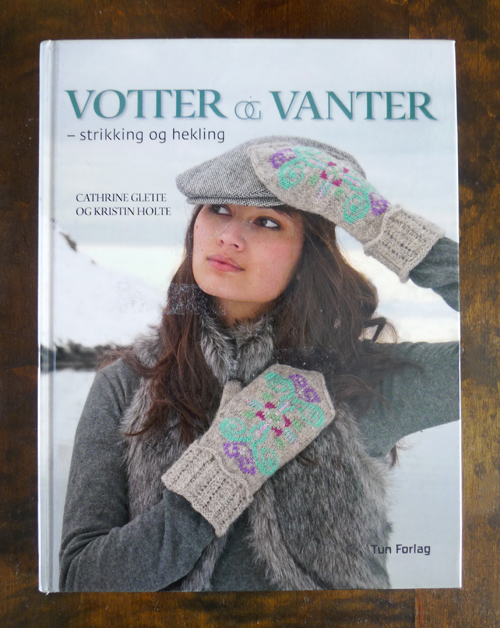 - "Votter og vanter" by Cathrine Glette and Kristin Holte. Had I checked it out first, it wouldn't have come home with me. No offense to the workmanship behind the designs, but they were just not my taste. At all. 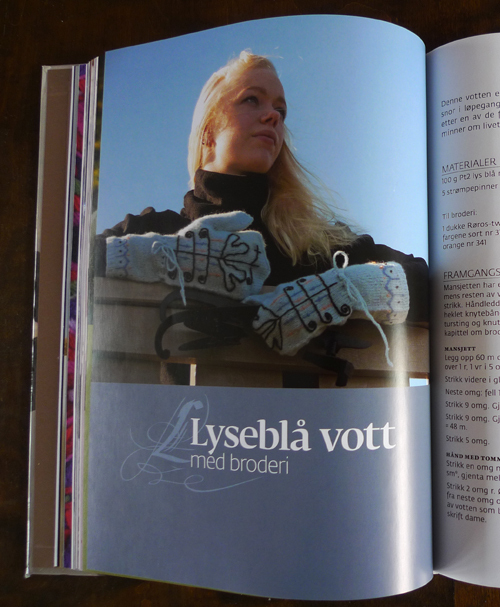 In fact, the mittens on the cover were the only ones I liked (but they would have been even nicer in other colors). 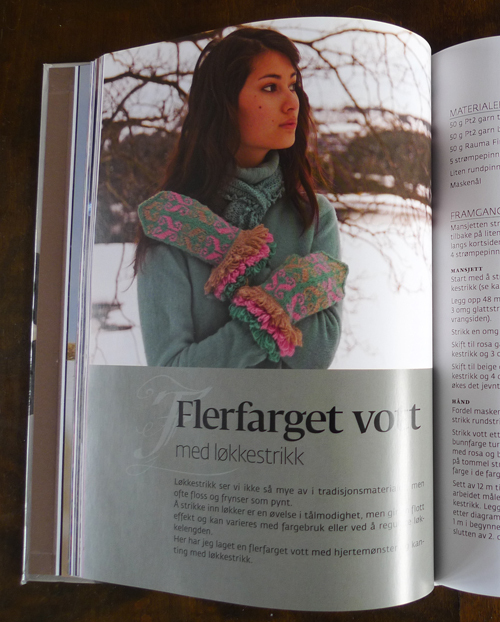 The book describes several different techniques, some of which I definitely won't try out, but I might give the bosnian crochet ('pjoning' in Norwegian) a try. Fun to read this, I borrowed the book from the library and concluded in the exact same way as you. A lot of funny techniques, but not my style at all. 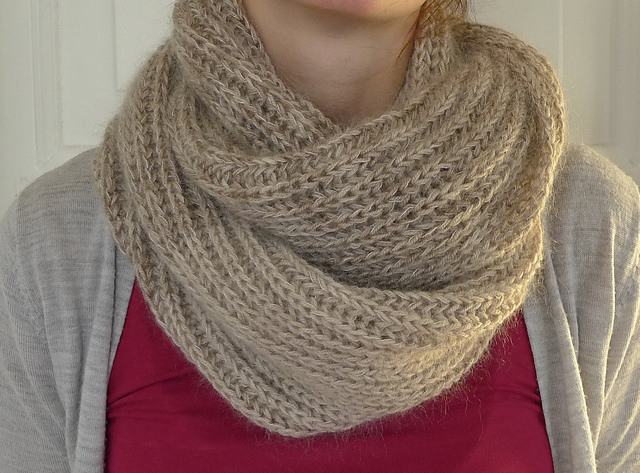 Jeg ble også skuffa over den boka, tror ikke jeg fant noe der jeg strikka. 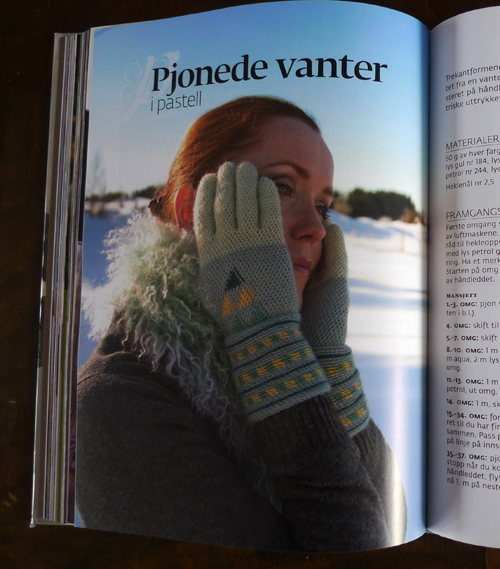 Kjekt å låne på biblioteket, så man slipper bomkjøp.